Starting out with a three metre drop this high speed course takes you through bombholes, over large gap jumps and through some tighter turns. Full face helmet and additional body armour is recommended for this course as it is graded as severe. Starts from the same place as the Bull Run but rolls out across the contour to start with. 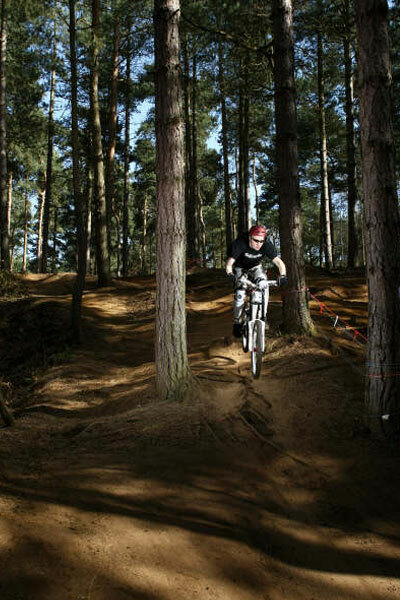 Then taking you over rooted sections, through bombholes, over large gap jumps and round sweeping berms. Again Body armour and a full face helmet is advised. 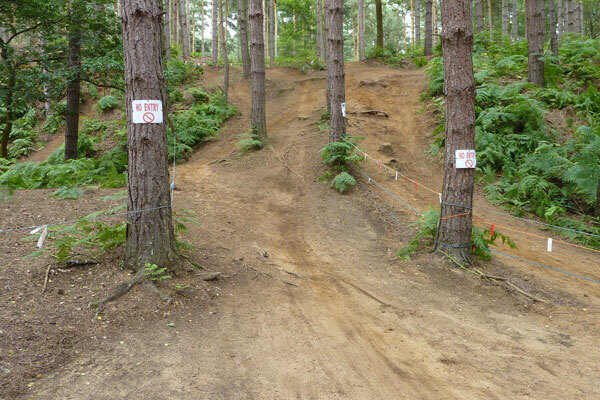 This is the most technical downhill course we have and so is given a severe grading also. 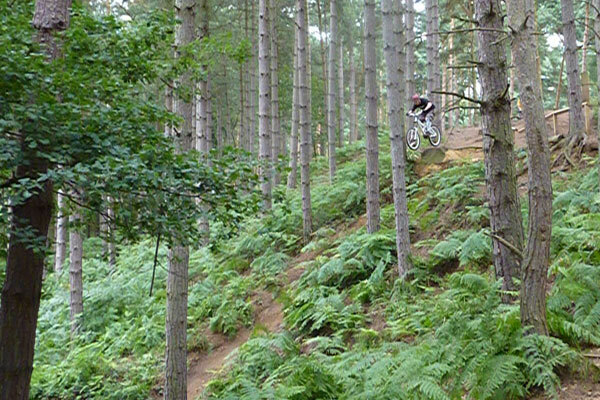 Please note that these two courses should only be ridden by riders who are capable of riding the obstacles on the course as they are intended to be ridden as there are few or no chicken runs on these courses.